Shoreham Port has appointed what it says is the UK industry’s first director of infrastructure and climate change, Tony Parker. His former post of director of engineering is taken up by Brian Rousell, who has been promoted from deputy director. Meanwhile, the port said that confirm business units in its Lady Bee Enterprise Centre are on-track for completion this spring and many tenant spaces have already been let. 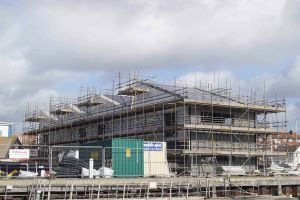 The Lady Bee Enterprise Centre is a new commercial estate located off Albion Street in Southwick and forms part of the port’s longer-term plan for the refurbishment of the area.